Adaptavate are pleased to announce an exciting new partnership with a forward thinking building materials company serving the Benelux region consisting of the three neighbouring countries of Belgium, The Netherlands, and Luxembourg. Adaptavate have signed an exciting agreement for Eco-Makelaar to be the main distributor of the Breathaplasta product in the growing market of the Benelux region. 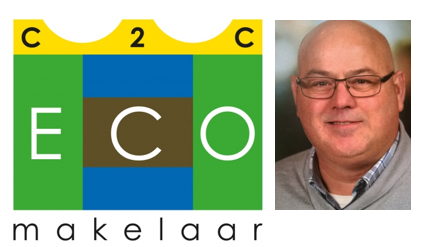 Eco-Makelaar is a building materials supplier that is looking to the future. They are a company that shares a similar vision to Adaptavate and are driven by the need for us to create healthier and more sustainable living and working spaces. Eco-Makelaar is guided by the cradle to cradle principle and recognises the huge positive impact we can all have on our health and the environment by smarter sourcing of our building materials. Richard de la Roy, owner of Eco-Makelaar said “it is vital that our building industry becomes more sustainable and more innovative and Eco-Makelaar is playing a leading role in this. We are guided by the cradle to cradle principles and working with bio based building materials closely aligns with this. Solving condensation and moisture problems and preventing mould growth is a big issue, not only in the UK and bio based materials are a simple and healthy solution for retrofit and new build alike. We see a lot of potential for Adaptavate products in Belgium, The Netherlands, and Luxembourg. They are a perfect fit for the circular economy, our common future”. “It is an exciting period of growth for Adaptavate”, Tom, Managing Director of Adaptavate said. “We have taken Breathaplasta from an idea on a building site to a fully operational supply chain and a product manufactured under ISO 9001 and sold in around 20 outlets across the UK. We have identified the Benelux region as an important market for Breathaplasta and one where the product can have significant social and environmental impact and sizeable commercial growth. We are excited to partner with Eco-Makelaar in this region – here’s to a successful partnership”! If you have an enquiry for Richard, you can contact him using the details below.